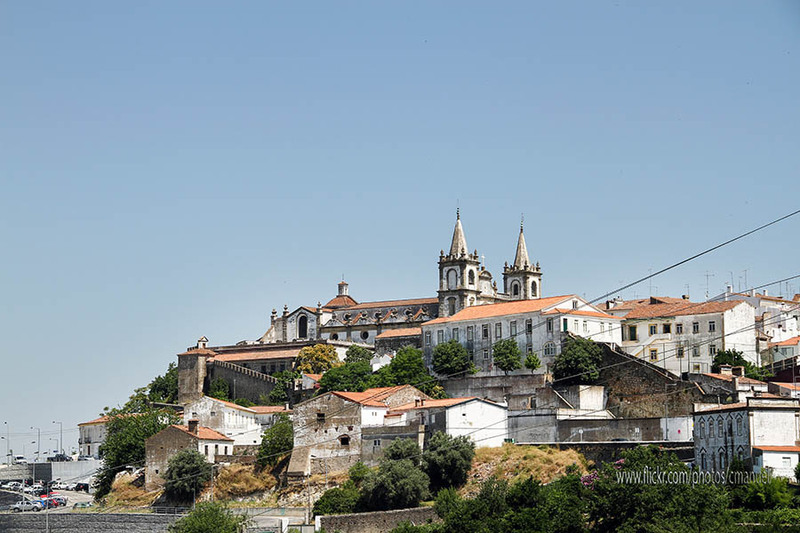 Discover the lively city of Portalegre and its surroundings in Alto Alentejo, Portugal. Portalegre was a stronghold strategically located next to the border with Spain, only 74 kilometres from Badajoz. The city burgeoned after the Renaissance period. Evidence of that are the many buildings in Baroque style in the historical centre, making Portalegre a charming place to take a walk. 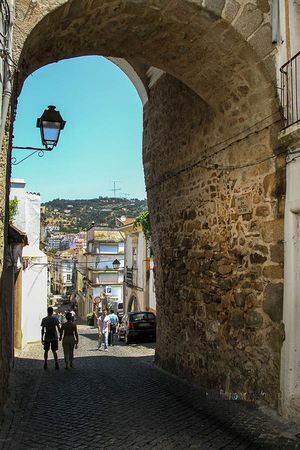 Nowadays, this lively city in the north of Alentejo has sixteen thousand inhabitants and stands surrounded by olive fields, and a vast plain, just at the feet of the Serra de São Mamede, making it an excellent base camp for many of the hiking trails. Within the walls, there are plenty decaying Baroque manors, remnant of the silk manufacturing industry that flourished in the area. The whole industry sank in 1703, when the Methuen Treaty introduced English products into the market. 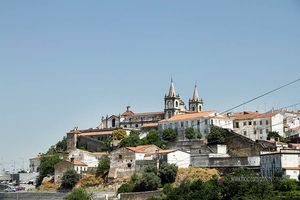 However, nowadays, Portalegre is still loyal to its heritage of fine fabrics, even preserving the a factory producing exquisite tapestries by famous artists and an extraordinary museum of tapestries. The centre of the city is the Rossio, a great square with the Tapestry Factory located in the former Jesuit College, where the making process can be seen. In the Rossio, you can also see the Igreja da Misericórdia Church (18th c.) and the Igreja do Espírito Santo (14th-18th centuries). 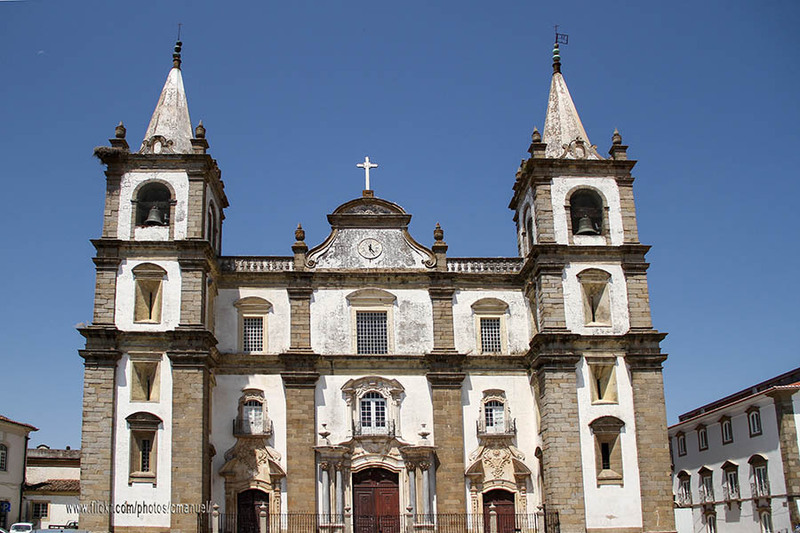 In a lower area, a little further beyond the market, lies the São Bernardo Monastery with a majestic mausoleum, a church covered in tiles from 1739, a Renaissance Portico, and two open cloisters, one Renaissance with two orders, and another Manueline-Gothic. The main monuments of the city are in the higher part of the hill. The Castle preserves its keep, part of the bailey, and two towers joined by battlemented walls. From the castle you get excellent views of the Cathedral (16th century) in Renaissance style, with a posterior façade in Mannerist style, three Baroque porticos, and an interesting interior. 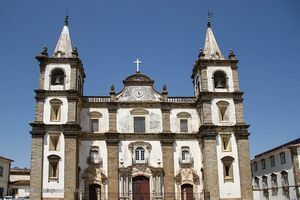 To the right of the Cathedral stands the City Museum, with one of the most important ceramics collections in Portugal. Beyond the museum, annex to the walls, stands the Amarelo Palace (17th c.) housing the Museo da Tapeçaria Guy Fino (Tapestry Museum), exhibiting a collection of Portuguese tapestries. Near the Cathedral, along the Rua do Comércio, you can exit the walled perimeter through the Portas de Alegrett gate (14th c.), that links with the Praça da República square, next to the José Régio Museum, which exhibits a large collection of 16th to 19th century crucifixes and popular figurines. Near the city, you have the Serra de São Mamede Natural Park, dominated in the northern part by oak and chestnut forests, with São Mamede Summit on the top (1027 metres). It is also worth visiting Crato (23 kilometres to the east), Alter do Chão (29 km to the southeast), and Monforte (27 km to the south).